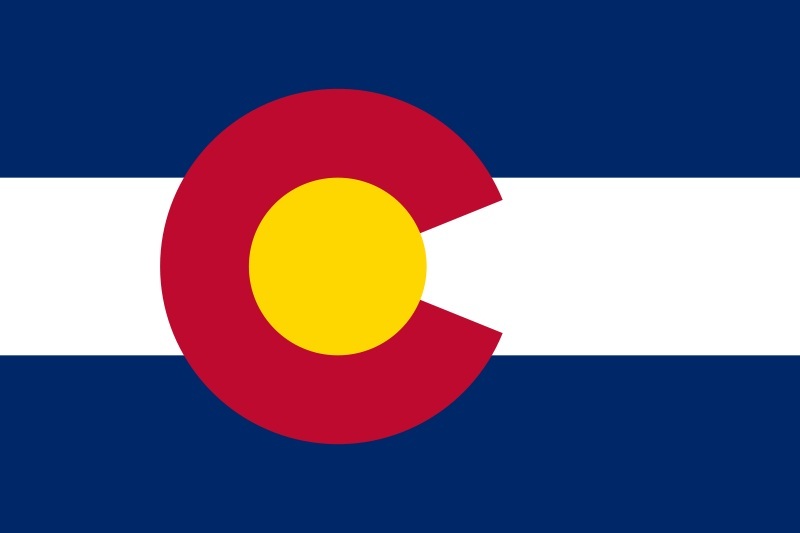 A postcard from Colorado, USA, received through official postcrossing. 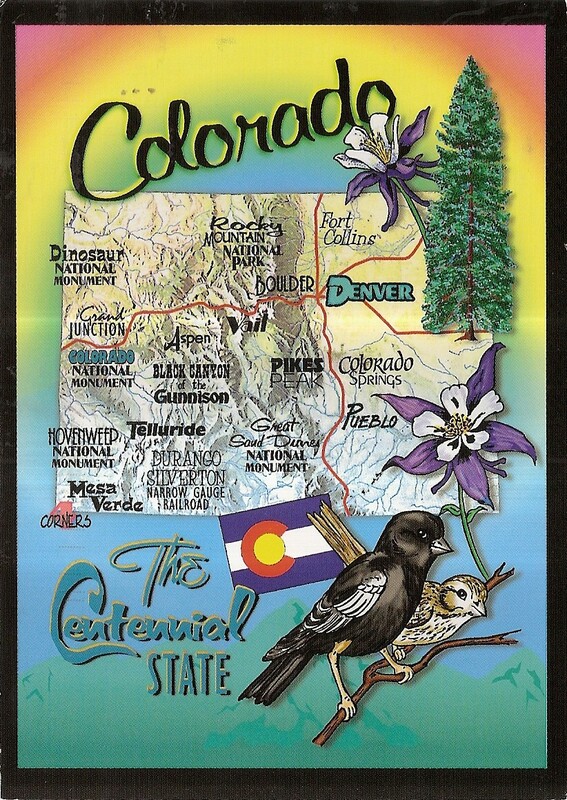 The postcard shows a map of the State of Colorado with several state emblems: state nickname, state bird, state tree, and state flower. At the back, one Global USA Forever 2013 stamp. 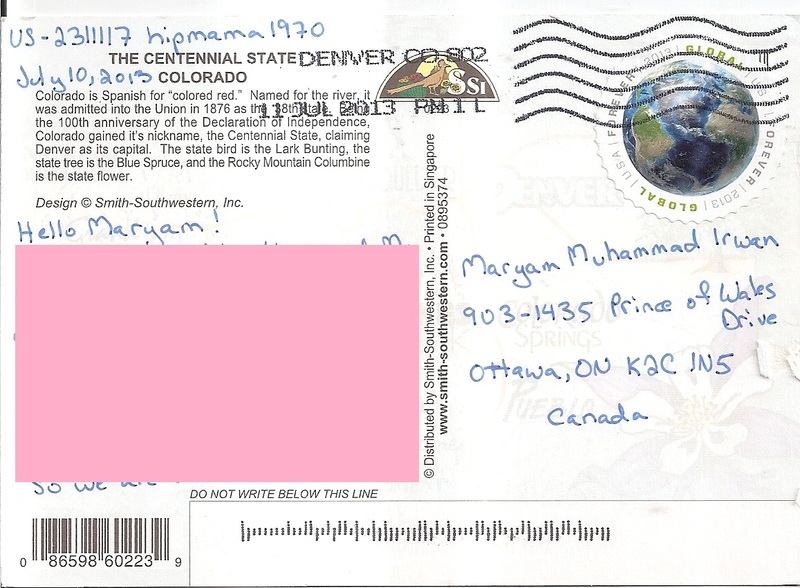 The postmark date is 11 July 2013 and the location is Denver. Thanks to the sender for sending me a postcard from my favorites!